An interesting marketing ploy which I am not entirely convinced by heralds the new slot from Slots LV. Is your life hectic? Then this slot can help you slow down and relax – Fruit Zen is meant to put your life back in the slow lane. The design is supposed to transform the experience of the traditional slot into a feeling of floating through a beautiful Japanese garden. The background music is designed to be soothing and there are sounds of ocean currents which mix in with each spin. Now I’m not quite sure, that if I was stressed out – that gambling on a slot machine is quite the solution for me, however some people do find them relaxing. 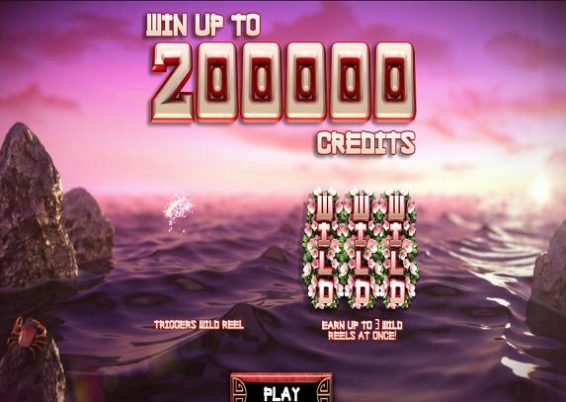 Fruit Zen is quite simple using traditional fruit machine graphics all rather nicely designed in bright colours. There is an attention to detail too, look out for the little red crab perched on one of the seashore rocks in front of the sun setting. Here’s a brief introduction into the Martingale system if you care to try it. It does get quite a lot of bad press mainly because it’s portrayed as some sort of ‘roulette killer’ which is guaranteed to make you rich, which of course is far from the truth. However like most systems for gambling if you appreciate it’s shortcomings then it can be quite a sensible way of playing something like roulette. For example if you compare the careful calculation and doubling of your stake combined with a sensible stop/loss compared to what some people do at casino roulette tables after a few drinks – it’s much safer. I watched last week a couple of Chinese punters literally throw chips all over the table after every spin at a casino in Dublin – I’m almost certain that it was almost mathematically impossible to win some of their spins as they huge placed bets on conflicting results. At least with most systems it adds focus to the game, although perhaps the biggest issue with Martingale is it turns a fun game into something rather tedious.